Hear an inspirational brief radio conversation with national hero, “Full Bird” Col Jackie “Jack” Jackson (retired). 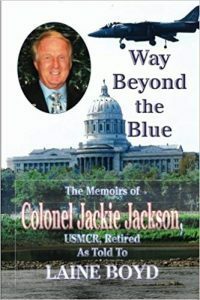 We spotlight patriot Jack’s new book featuring many of his life stories, Way Beyond the Blue. How to obtain a copy is seen below. Piloted a special flight with his terrific wife, Arleen Jackson, to transport Billy Graham’s daughter, Anne Graham Lotz and her associates, to and from North Carolina, to lead a special “Show Me Your Glory, Lord” event …in the Missouri Capitol Rotunda in Jefferson City, MO. The Annual Event was hosted by National Day of Prayer leader and Bott Radio Network leader of central Missouri, Sue Stoltz. Jack Jackson is a survivor of incredible dangers, (such as his 600 combat missions and being shot down by enemy fire when co-piloting a helicopter) … so, it is ironic that what put him in great risk back home was a deer on the runway of a MO outstate airport, the Camdenton County Airport! 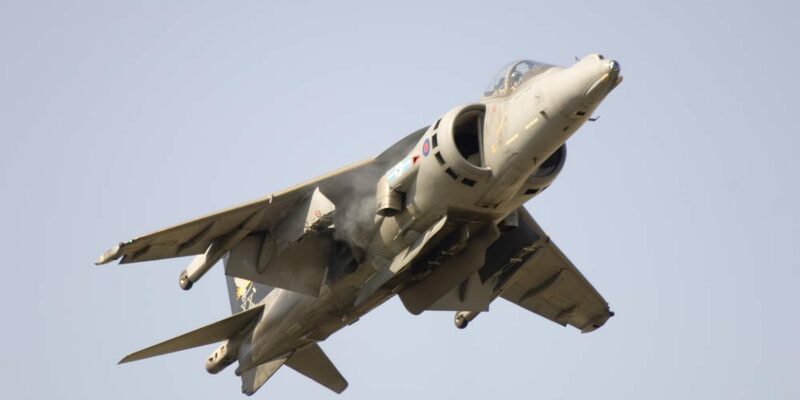 In a twin-motored aircraft ready to lift off the runway, a deer ran in front of the plane! It damaged the airplane’s nose, hit the left propeller, ruining the plane’s landing gear … and chopping up the dear! (I don’t know if it happened during deer hunting season or not!) But the deer knocked Jack and Arleen off the runway, totaling the airplane. They had to find another way home … but they were alive! To hear … “Missouri Budget crisis; lawmakers seek prayer; Anne Graham Lotz leads prayer time in MO Capitol Rotunda” … click on … http://haroldhendrick.com/2010/03/26/mo-budget-crisis-lawmakers-seek-prayer-anne-graham-lotz-leads-prayer-time-in-mo-capitol-rotunda/ .